Anne Davis Barry has 17 years’ experience in patent preparation and prosecution, opinions, counseling, and landscaping; her practice is focused on computer technology, including computer infrastructures such as computer hardware, databases, networks and operating systems, as well as business methods and control systems. Anne is responsible for securing patent protection to meet client product launch deadlines; for partnering with clients on site in patent mining sessions to form patent protection strategies; for working directly with inventors; and for management of final work product of associates. Before becoming a patent attorney, Anne spent 15 years with IBM, first as a programmer, then a systems engineer, and lastly a project manager. 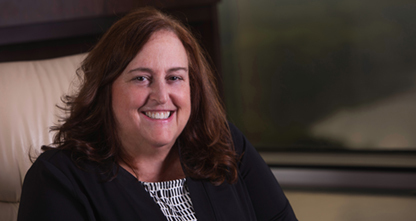 She has been an adjunct professor of patent law at the University of Connecticut School of Law since 2002.